Deciding where to stay in Bali can make or break your trip. So picking the right area and hotel to call ‘home’ for a few days or more is essential. After spending over 9 months here over 6 visits I think I’ve finally got it sussed out so I hope this helps you to plan your perfect trip to the ‘Islands of the gods’ which truly offers something for everyone. While there is no denying both the good and bad of Bali, I truly love this beautiful Island. The ‘Island of the Gods’ has so much more to offer than luxury resorts and party spots and is small enough you can stay in more than one place on your trip here, and I really recommend you do move around to a few different areas to really maximise your trip to Bali. I’ve spent countless days and my own dollar putting together and revising this guide so you can be sure all the recommendations are from me and my personal experiences staying in my beloved Bali. If you opt for an Airbnb you can use my code, so we both win and you get £25 off your first booking over £55 – click this link to get the discount. A note on pricing: I’ve tried to list accommodation in Bali by luxury, mid-range and budget but keep in mind, budget in Nusa Dua might be a similar price to luxury in the north, so all pricing and my categorisation is done based on the location of Bali, rather than as an island overall. I’ve also stayed at or visited, 90% of these properties personally over the last few years. The long beach strip along the south coast from the airport up to Tanah Lot is one of the most popular places to stay on the island, but each part is different. Kuta gets a bad (fair?) rep as being the party central part of the Island. When I was 21 I loved it but now I give it a wide berth (Though maybe sometimes you’ll find me reliving the good old Alleycat days). It is close to the airport, full of nightclubs, bars, small shops and plenty of haggling opportunities. There are plenty of accommodation options and shops here which are a good price and right by the beach. 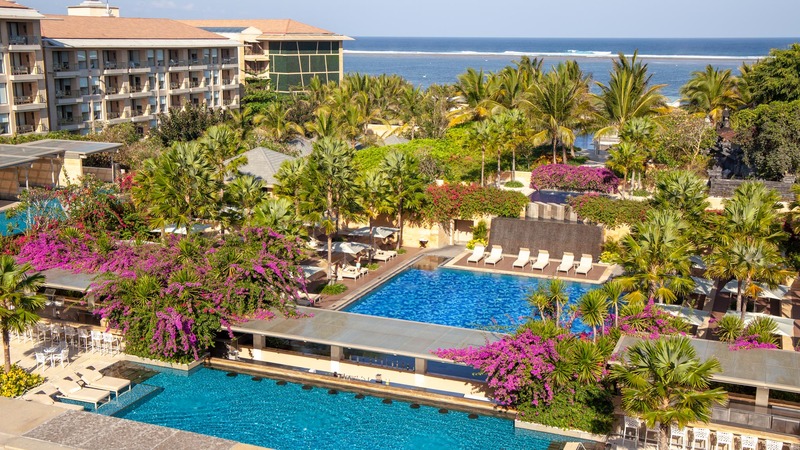 This luxury resort is right in Kuta, connected to a mall and has beautiful pool views of the ocean and sunset. Affordable choice with rooftop pools and has a party vibe you can join in or avoid. Located on the main party road towards Legian. Affordable twin rooms built around a pool. A heavy party place located in the Poppies streets surrounded by shops. I can’t promise luxury at all, but I had some good times here. Further along the coast Seminyak still has plenty of restaurants, nightlife and the beach but also comes served up with some of the famous premium nightspots such as Potato Head (who will launch their first hotel in 2019) and Ku De Ta. It is slightly more chilled out than Kuta and here you will find plenty of luxury hotels and villas. There are some exciting new luxury hotel openings here I’ll be checking out on my return such as Katamama which uses the finest traditional materials in its decoration. My favourite place in Bali I stayed – luxury private villas with breakfast chefs, pools and in the heart of Seminyak. Great location in Seminyak and affordable prices. Clean minimalist look with a rooftop pool and chill vibes. 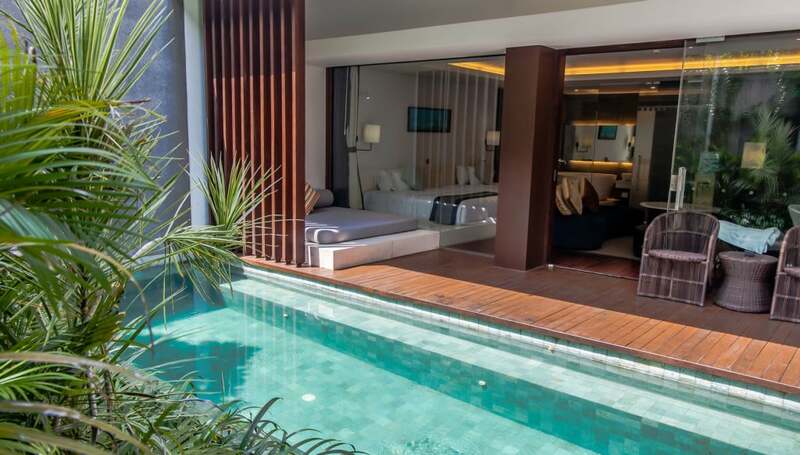 A little out from the main hub, but close by the beach in Seminyak is expensive. A relatively cool and simple place to rest up. Moving along the coast you hit Canggu which is my favourite of the three. With a more chilled out surfer vibe here you will find plenty of Acai bowls and cool coffee shops as well as Echo Beach which is well known for its surf. There are also plenty of rice terraces around you so you get a good mix of the island and the coast. 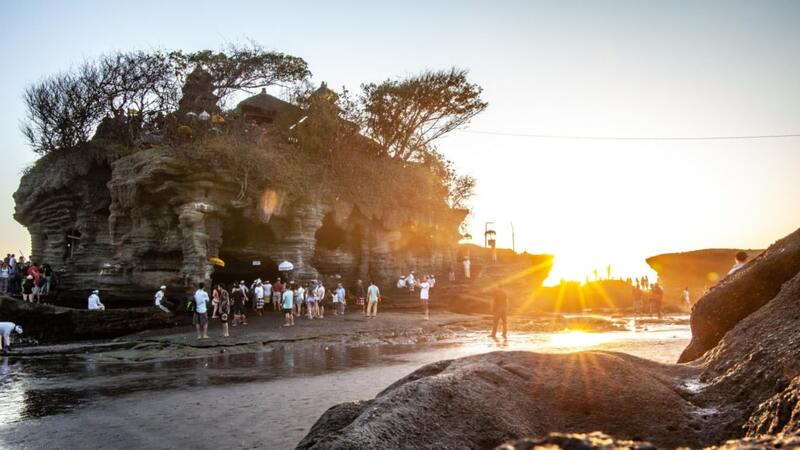 It is also in the direction of Tanah Lot, one of the most famous temples in Bali. If you are a digital nomad in Bali then Canggu is also great with the DoJo co-working space being a reliant internet and working spot. 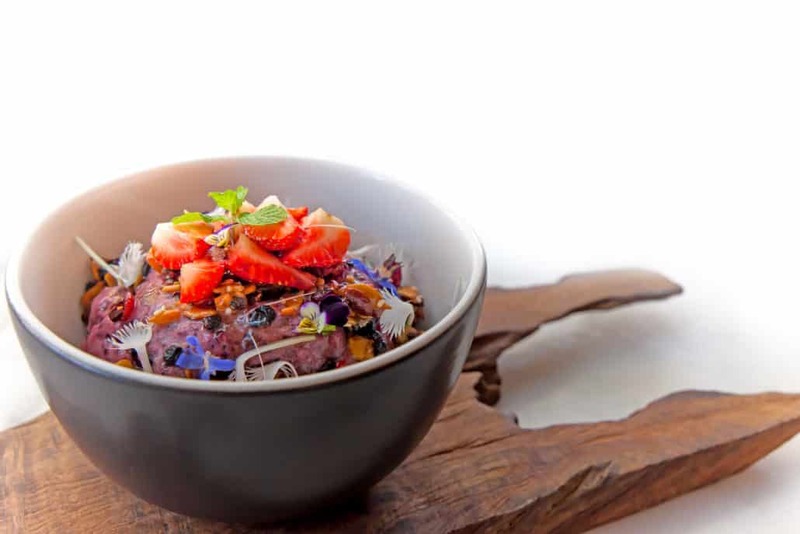 This is a brand new opening so I haven’t had a chance to visit yet, but initial reviews from my friends in Canggu are raving. 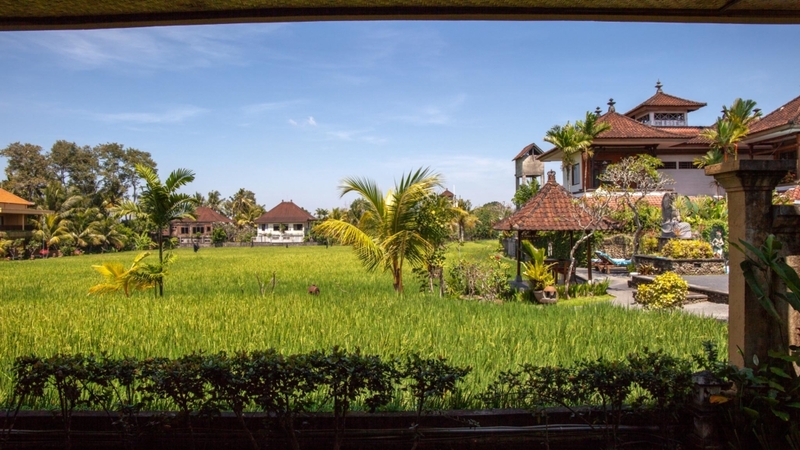 Beautiful rooms in an epic location, bringing serious luxury to the Canggu area! Not the easiest to access but beautiful villas and rooms with a jungle feel and tranquil pool to escape the Bali madness. I only spent one night here but it does the job and has a more social hostel vibe while also being able to arrange Surf lessons. Below the airport is a small bulge off the main Island known as the Bukit. Full of luxury resorts, private beaches and local villages you are spoilt for choice here. The BTDC is a gated, private development which houses some of the most luxury resorts. It has a beautiful beach (but not those killer sunsets) and some high-end beach dining. To be honest, I am not a massive fan of staying away from the real Bali but for a few nights to chill out, you can’t go wrong here. The prices are pretty steep but if you are on honeymoon or looking to literally just switch off and not explore this is a great spot. I wish I could personally afford to stay here. The food was amazing, the resort and service impeccable and my friend who got to review it was blown away beyond words. Just being in the restaurant and seeing how intimate the resort is was enough to convince me to include it. A great affordable option on the outskirts of the BTDC area. Marriott style luxury resort built around pools and gardens with a short walk/shuttle to a reserved beach area and the first place I stayed on my 4-year would trip. Located right next to the Sofitel and minutes from the beach this resort actually can be super cheap if you look for the right deals at the right time, I’ve stayed here plenty of times at heavily discounted rates when available, though on paper the rates as standard are higher. The BTDC sits within Nusa Dua but as it is outside the development I’ll give it its only place to shine. Home to one of the most ‘luxurious resort’ in the world the Mulia – it sits in contrast to the small local village of Sawangan slightly further inland I spent a couple of months calling home. There is some great surf around here near Geger Beach. There are a few secret beaches nearby which are stunning and usually empty (drive down the dirt tracks near the Ritz). This recently opened hotel (2017) with its private beach, Bali vibes and so much greenery is the ultimate place to stay and relax whilst being close enough to plenty of activities. This resort is huge, and has a vast arrange of options but it is stunning and even if you aren’t a guest you should heed my following tip: For $80 you can get Sunday brunch at the Mulia with free flow food AND booze for four hours, when you know how expensive wine is in Bali it will seem like a steal! I took my parents here for Christmas Day last year and it was a real treat. Located further away from the beach but thus affordable, simple rooms, great pool and a breezy vibe. Car / Bike recommended. Good coffee, used to continue to come here for work and wifi a fair bit after I moved into a home in the village. I stayed here over Christmas with my parents and it’s outside the complex just before Benoa. Good affordable prices and a nice rooftop pool with swim up bar. This village is one of those super chilled places in the village I used to call home so you get a much more local feel. Pool and ocean views at the top of the hill. Car / Bike recommended + a love for a few dogs. Benoa is the stretch of sand which points back to the mainland on the map. The beach here is not the best for sunbathing or families but has plenty of water-sports options and as such the accommodation prices here are usually cheaper than the main Bukit area. That said, the beaches here are a lot more local in feel and with the water sports going on aren’t the best sands for relaxing / cleanliness. This suite hotel + beach club with its lagoon pool you can roll out of bed into was perhaps one of the best hotels I have ever seen except when I stayed the pool was closed due to Algae so I checked out early although after checking back with them (Nov 18) the problem was just an opening teething issue). A pretty standard Ibis hotel which can usually be booked at a great price and good value given its proximity to the beach. Apartment style accommodation down a small side street but not a long walk to the beach. Great prices and a good pool to chill in. Jimbaran bay beach looks back across the airport and has some killer sunsets. I always head down to treat myself at Sundara beach club for an amazing spice old fashioned and to catch the last rays of the day from the pool. The beach is nice and there are plenty of fresh fist restaurants to pick from plus a lot of accommodation options. Being pretty close to the airport makes this the perfect nearby stop point from the Airport if Kuta is off the radar. This resort is actually rather luxurious and I really loved how Balinese in style it is. When i stayed there I found the rooms slightly older than many of the newer hotels in Bali which is why I’m assuming the prices were lower than similar starred hotels. The Watermark Hotel is crazy cheap for the accommodation it offers. With a rooftop and ground level pool, top service and amazing room details including private pool villas the five-minute walk to the beach is covered with your own private shuttle. You can see more about the Watermark on my Jimbaran travel guide. 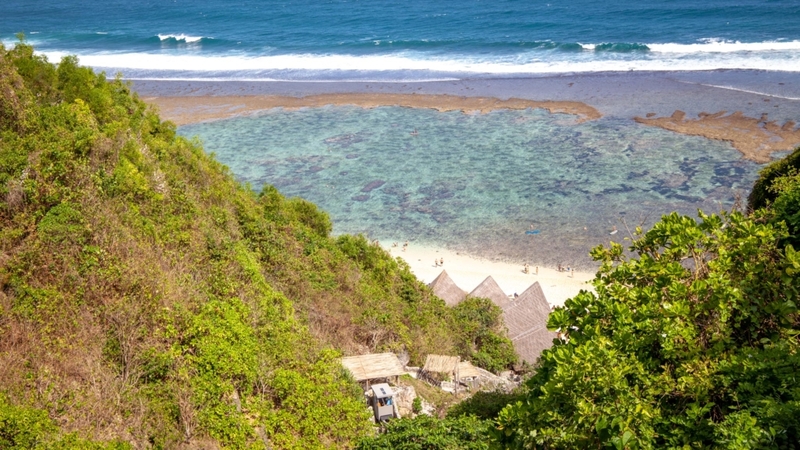 On the far south of the Bukit is Uluwatu – famous for its beautiful cliffside temples and monkeys. It is also home to plenty of luxury hotels, villas and surf bars. I have hung out at Finns beach club (now re-branded – Finn’s has moved) and Single Fin which are great spots to chill by day or the latter for a few evening drinks as well. These beautiful ocean views and chilled out vibes are all over Bali but here felt super special. You also have the bonus of the beach club with its crystal clear coral waters. An affordable option if you want ocean views from your pools – a good choice if you have a group and want to stay in a similar place but not at villa prices. Simple, affordable and a good option for this area. Prices are pretty high around the Bukit but you can usually get a crazy cheap deal here. Head inland in Bali and it seems a world away from the beaches. Known for hippy hangouts and Yoga sessions, the jungle and rice terraces are an ideal place to switch off. Ubud, the ‘cultural capital’ of Bali is home to the famous Yoga Barn, lots of cooking schools (trust me, you want to be able to cook Balinese food!) as well as the Monkey Forest which draws in the crowds. 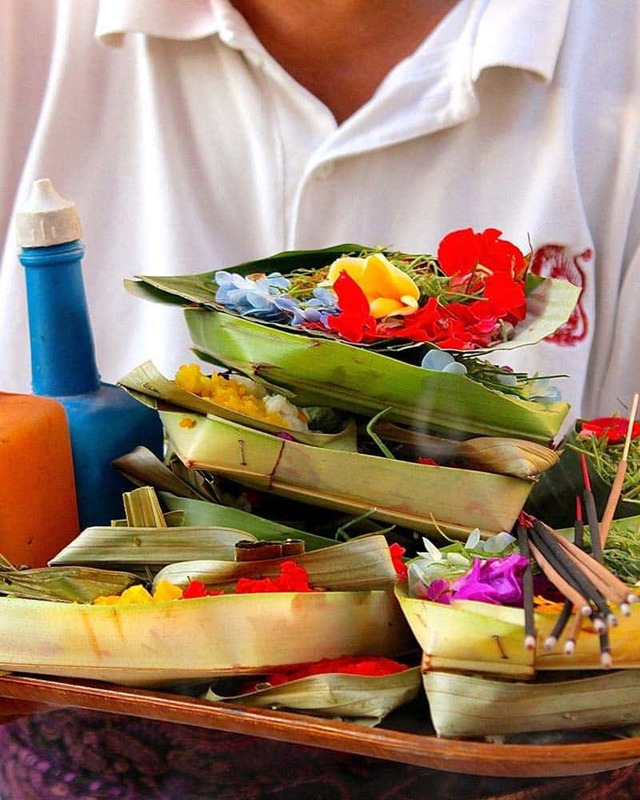 Enjoy the traditional dance here, visit the palace and pick up beautiful handcrafted woodwork and be sure to sample all the delicious vegan restaurants in Ubud, this is one of the best spots in Asia to dine out as a vegan. Top Tip: You may have seen the amazing Hanging Gardens pool hotels of Bali, but you need to be a hotel guest… Jungle Fish Pool Club makes for a great alternative! 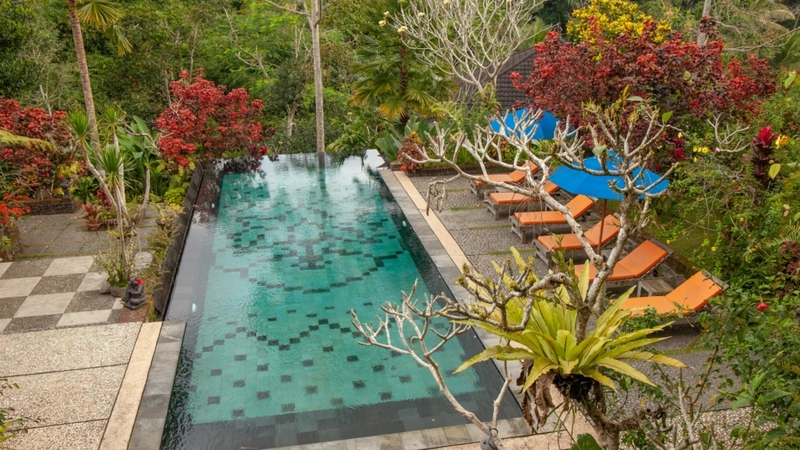 A short walk out of Ubud centre to this small village offers you incredible private villas with pools. When I took my parents to Bali in 2018 this was their favourite place we stayed. I really loved staying here and opening the curtains on to rice fields and a pool set within them. Great hospitality and super close to everything in Ubud. Offers brilliant priced rooms on the main road, personal cabins in a little square with breakfast on the patio each day. One of the cheapest places I have stayed in Bali and really helped me out when my Mount Batur pickup didn’t arrive. 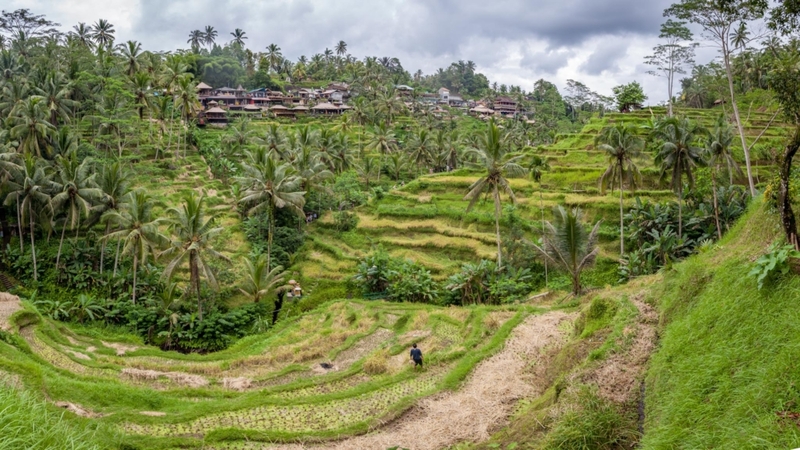 Slightly further north of Ubud is Tegalalang which is well known for its rice terraces you should have seen on any postcard of Bali. Most people will head here for a few hours in the day but the in this beautiful location I loved spending two nights there and listening to the sound of the jungle whilst watching the fire-flies dance outside the window. Kintamani is also usually passed through quickly as people come to do the sunrise trek up Mount Batur and snap a few shots of the temple on the lake (you know the one, it is on all the brochures) but there is actually plenty of trekking and lush greenery here so you can easily spend a couple of days exploring. Find a local guest house or grab a tent and enjoy the natural side of the island. In the middle of the Jungle surrounded by palms and rice fields and a beautiful pool. Pay the extra for a suite to get the best views. Super simple and nothing fancy but boasting a great location right next to the lake. Friendly crew and good for a pitstop. The east coast of Bali offers black sands and some great diving spots. Padang Bai is where the boats jet off towards the Gili Islands but there is more to see than just the dock. Sanur is a good middle ground between quiet beaches and noisy nightlife. You can get a good balance here as well as a great base to take day tours from. The beach is protected by a reef making it a great spot for families. With plenty of accommodation as well as bars and restaurants which aren’t exclusive to resorts you don’t have to spend a small fortune here as you would in say the BTDC. My friends stayed here as a family and I really loved the facilities and the location when I went to visit them. It’s a bit on the pricey side IMO but seems a popular pick for those with kids. A great value option with extra space and a good location – a really short walk from the beach but worth it if you want to save some cash and still have a pool and nice facilities. 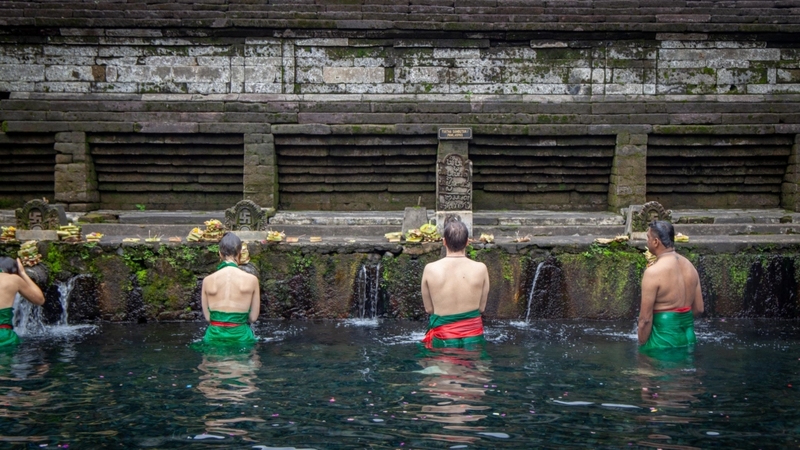 The central part of Bali is getting more and more popular as people discover its lush jungle waterfalls and hiking roots, as well as the famous temples and lakes that are located here. I haven’t personally stayed here, but it’s somewhere well worth visiting if you are driving around and if you find any amazing accomodation, please drop it in the comments! Amed has the ultimately sleepy town vibe to it. Think black sands, plenty of dive shops and small huts to kip in and you get the picture. Music nights are shack like bars, dust roads that kids play on and plenty of pop up hammocks. I loved it but got slightly bored after two nights. There are also plenty of dive shops here. I used No Fear Diving, who can take you the 30-minute drive up the coast to Tulamben to dive the Japanese Wreck of the HMS Liberty, a great dive site I have visited a couple of times. These private villas outside of Amed are beautiful. Traditional Javense style wooden huts with intricate carvings, outside dining spaces and private pools. Also the nicest staff ever. My favourite place to escape in Bali and one of my favourite places I’ve ever stayed. These cottages surround a tranquil pool and have a perfect location on the tip of the coast offering great ocean views from the restaurant. Cheap and cheerful with super nice hosts and an on-site dive centre. On the road just back from the beach views and hammocks hanging outside each room. Situated on the North coast and a popular spot on route from Java (the ferry crosses into Gilimanuk, 90 minutes away). 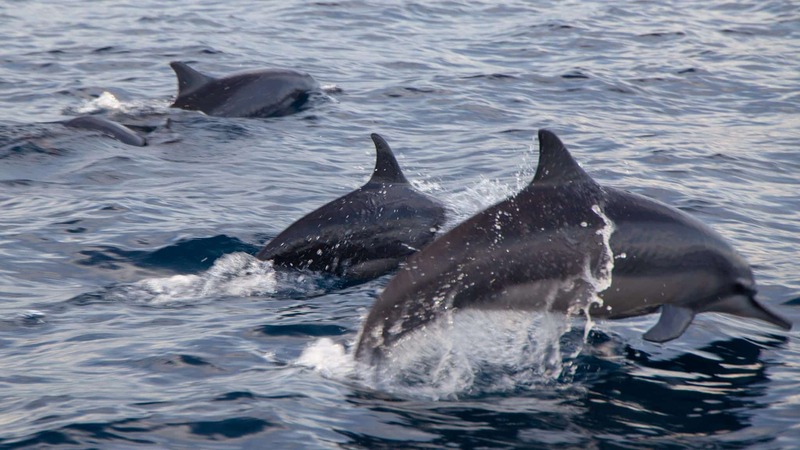 Lovina is well known as a spot for watching Dolphins. With the same dark sands of the north-east imagine a laid-back resort. With a lack of high rises and some good bargains to be had, it might be worth the (long-ish) trip up here during Dolphin season. On a side note, there is a SICK dolphin attraction in the south of the island with toothless dolphins stuck in a chlorinated pool just meters away from the ocean so head up here to see them in the wild rather than get fooled into seeing them there. 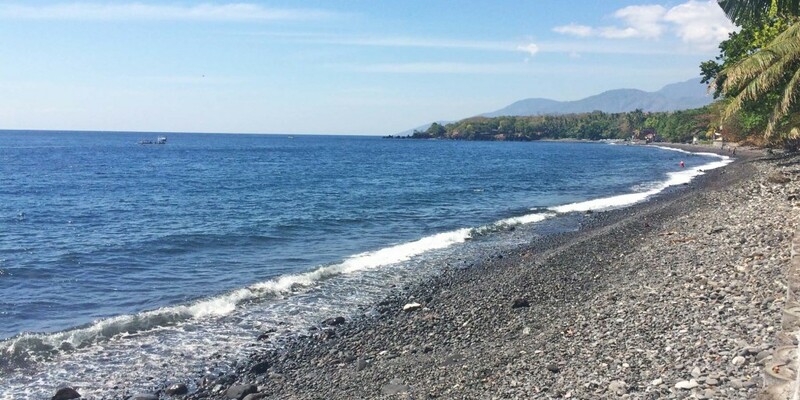 My research trip to Lovina was affected as it was during the 2017/2108 alerts of the volcano eruption so many of the accommodation providers were sadly closed. This resort that is right next to the beach offered good priced rooms and can arrange the dolphin trips. Also with a nice pool and fresh coconuts. The long stretches of beaches that span from Tanah Lot up to Gillimanuk make for a stunning drive, which is good as it can be painfully slow! If you have a driver it is well worth stopping off to see these empty stretches of paradise to imagine what the Island could have been like years ago. There are a few hotels and guest houses dotted along which are perfect if you want to be away from the main tourist bustle of the resort areas and have a bike or car. I used to really enjoy spending nights in the Pan Pacific Tanah Lot hotel but it has now sadly closed down and been demolished to open a Trump hotel, as such I can’t recommend anywhere personally to stay along here. A lot of people will tie in their trip to Bali with a visit to Lombok and/or the Gili Islands and while I’ve written more about those on separate posts, here are a few of my favourite accommodation ideas there to help out. Lombok is a vast island that offers some of the best volcano trekking in Indonesia at Rinjani, alongside amazing beaches and deserted waterfalls. Following the tragic earthquakes and tidal waves of 2018, now is a great time to support the local business here. These modern and beautiful villas right on the water also give you access to three smaller ‘gilis’ that you can even swim or take a boat out to. I loved staying here as it’s quite removed from everything. Not overly fancy, but these bungalows were great for a one night stop close to the beach and before contuing onwards to the ferry port. 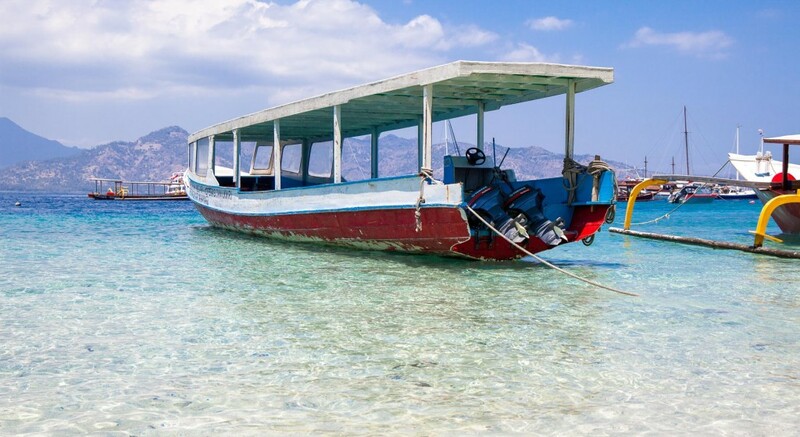 The Gili Islands aren’t untouched paradise any more, but they are still paradise. Sadly after the recent events that also affected Lombok tourism is slowly recovering here, so swing by and share your support with the local businesses. Gili T is more party, Gili M is more chill, and Gili Air is kinda in the middle and my favourite. Although I haven’t stayed here, it was founded by my friends Esin and Phillip who I met diving in Raja Ampat and I built their website. The handful of private villas, with plunge pools and poolside breakfast, seem much nicer than most of the places I have personally stayed here, never quite managing to book myself into the right place on Gili Air. Turtle Beach Hotel is the closest I found and that I usually recommended but the prices seem to have gone quite high lately compared to the quality. A real beauty, and although I’ve only eaten here it would be somewhere I’d book. The bonus of staying on Meno is you can explore lakes, snorkel around underwater sculptures and even check out abandoned resorts. These bungalows offer a chilled out spot, nice pool and of all the places I stayed on Gili T offered me the best sleep as it didn’t seem as party heavy. Getting around Bali is pretty affordable. Blue Bird taxi group offer metered fares; Uber now operates though be aware they have a lot of clashes with the local taxi services. Hiring a private driver and you can pick up a driver for the whole day for around $50. There is also a great and relatively new service called GoJek which is bookable by an app and is a crazy value bike taxi service! For about $5 a day you should be able to hire your own bike. Beware of alcohol that is not legit. Dirt-cheap drinks have been known to be mixed with methanol to dilute them, and there have been deaths from tourists drinking these. The Gili Islands and Bali are two places to be aware of this. Do try the local foods at the Warungs, these criminally cheap plates loaded with local flavours are delicious. While some people can be put off by the window display type ordering, if you visit earlier in the day to a busy restaurant, the turnover of the dishes are high. Bali has its pros, but it also has its cons – After spending so long there over so many visits, it would be naive for me not to point them out. Check out this post to get an idea of what to watch out for in Bali: Bali: Beautiful or Beyond Repair? Or if you want to know my favourite beach, and how to get there, check out my post on the best beach in Bali. Things to know about Bali is really amazing guide about where to stay in Bali. This is definitely the most helpful guide to Bali I have ever found, thank you so much for taking the time. Love how you broke this guide up into what style of travel for each area. May I ask what do you do to make your travels more sustainable? I don’t think that’s a very fair assessment. Parts of Bali have too many tourists, but much of the island does not, really depends if you go there to travel or just stay in the tourist places and while the trash is bad, it’s certainly amplified November – March when the tides turn. Personally, I try and do a fair bit to be sustainable; eating in local restaurants, declining any laundry or other bits in hotels, volunteering at beach cleanups and other initiatives, not using any plastic etc, as I have sporks, water bottles and coffee cups with me – this is actually something Bali is really ahead of its neighbours on too. Just curious how you pay a GoJek for only $5.00 a day ….that has to be a typo. That doesn’t even cover the gas. Ahh, no. I meant for $5 you could hire your own bike to drive and get around, not hire a GoJek. Maybe when GoJek first launched and they did the insane deals yes, but no way now! A friend and myself are travelling to pemuteran on the north coast for 8 days staying at a honesty Arunja. Yup, if you get scooters or use bluebird taxis it shouldn’t be too bad, but can take a while with the traffic in Bali. The best informative review on Bali I ever found on internet. Great write up, helped a first timer a lot while surfing through thousands of options. Wondering if you could suggest for me— I am age 34 a Solo traveler for 10 days planning to hire a Scooter/car , looking for water sports, other solo traveler crowds and good bars & clubs. Your valuable suggestions please. This has been one of the best articles I have read in regards to helping me plan my trip. I have traveled to many Countries, and Indonesia has been giving me some anxiety as far as planning due to not knowing much about the Country, and all the places to see. I am currently educating myself with all of that. Anyways, my travel buddy and I usually travel during Jan and Feb, but that doesn’t appear to be the best time for Bali. Do you think March/April would be better? Thank you for your time!! I’m so pleased you found this post so useful. If suggest avoiding if possible, I was there in January again and the skies were grey and additional rubbish on the beaches due to the win cycles. I think March/April would be a much better time to visit. I’m planning to go on a solo trip to Bali mid-July for my 30th birthday. I want to experience the beaches, arts & culture, picturesque sceneries, and do a little shopping all in just 4 days. Any suggestions? 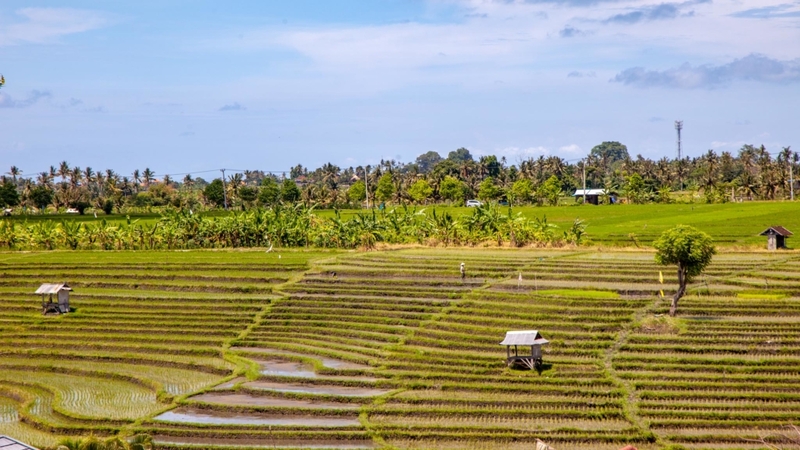 I’d try and stay around Canggu where you have the beaches and some nice rich terraces and scenery but aren’t too far by a fairly affordable taxi to day trip to Seminyak or Ubud for shopping and particularly culture in Ubud. I am planning to go to Bali for my honeymoon. 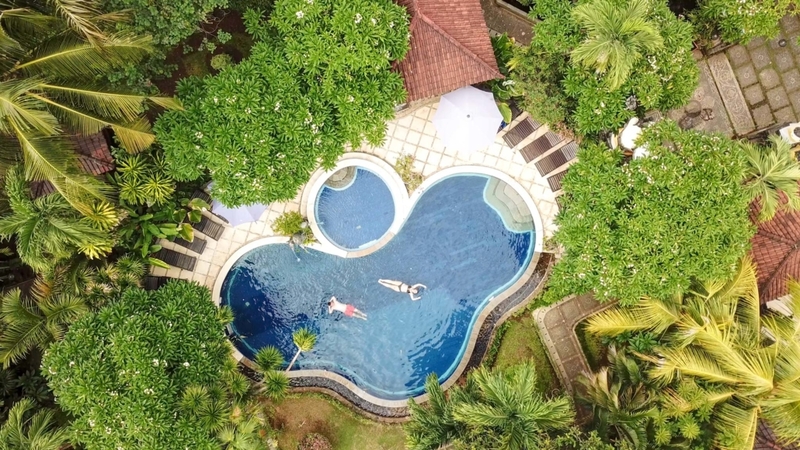 Planning on splitting the trip up with staying in Ubud for most of the holiday, but would like a few days with the whole beach culture and atmosphere – however, i am not quite sure. We don’t drink alcohol so the nightlife and clubbing scene is not a consideration for us. Initially, i thought of Nusa Dua but it seems this will just be a standard resort holiday? Can you advise somewhere please? Hope you have a wonderful tip. Uluwatu might be a nice option as you get the beaches but you also have the cliff temples and cultural museum near by. 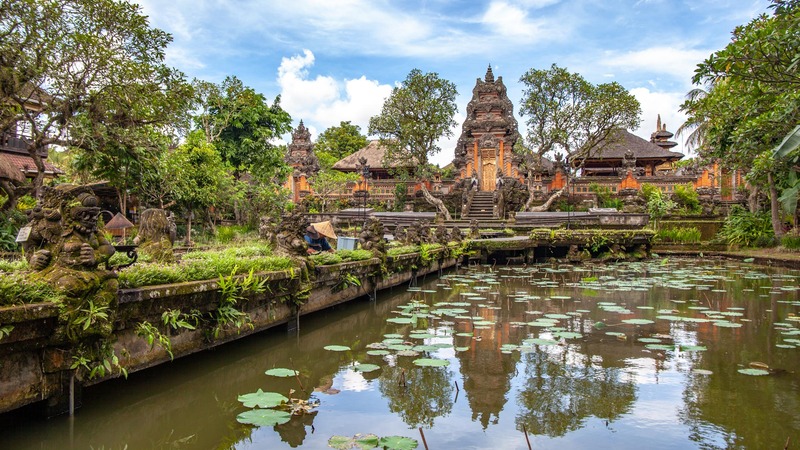 Alternatively, along the east coast you have options such as Candidasa and Sanur which arent too far away from some of the better known temples. 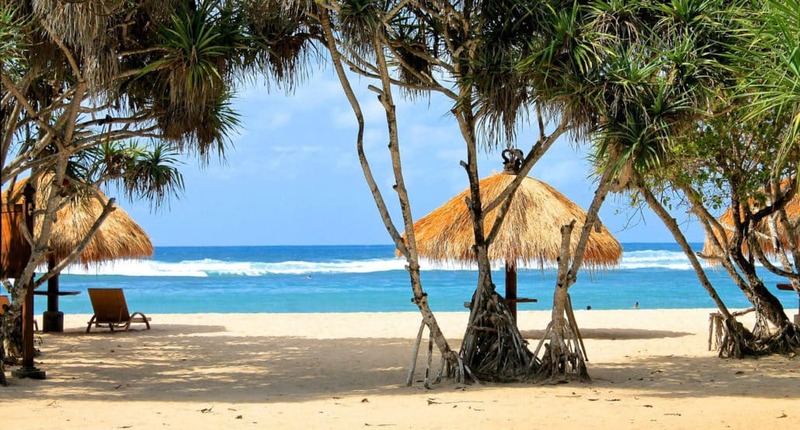 Most of the beach resorts in Bali are in general geared towards more resort style holidays, but you might also consider transfering to the Nusa Islands or Lombok where you could have beautiful beaches but also nature filled bike rides or hikes as well. We are planning a trip to bali this September and trying to choose the best midpoint to stay to get to more white sand beaches but also do some tourist things like visiting temples with the monkeys and the volcano hike. Nusa Dua seems like it would make traveling to other places more difficult. Any suggestions? Nusa Dua isn’t too bad, and to be honest it’s some of the best beaches (nearby Uluwatu is also great). In Uluwatu you have a beautiful temple on the cliff which also has monkeys and the Volcano hikes will usually be a couple of hours early morning drive from anywhere. Another option would be Candi Dasa, a white sand beach on the east coast providing slightly nearer access to Ubud. 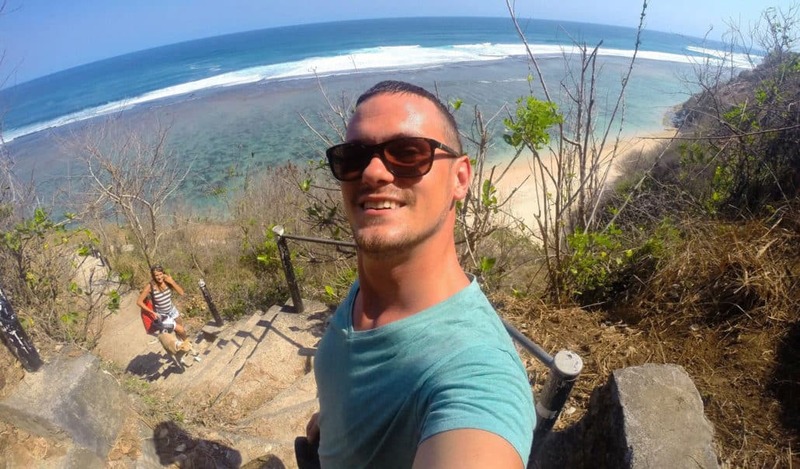 I always split my trip in Bali and spend some time at a beach hotel and then sometime in Ubud, so depending on how long you will be there you might want to look into different hotels. Even hiring a driver for a full day there shouldn’t cost any more than around $40 so that’s another option for day trips and combining bits together. Bali is often referred as the vacation paradise, with the city sporting spellbinding views and locations. Being culturally rich, Bali is also known for its heritage and traditional architectural marvels. This combined with the views of the island city makes up for the complete adventure. Hi Dan! I love your blog! I’m going to Bali this March 2018. Do you have a sample itinerary? Thank you so much! Thank you Karlie, I am working on one but don’t have it finished yrt. Have an amazing time! I really enjoyed reading your article. I travelled to Bali as a solo in September and thought you offered up some really valuable information for those planning a visit to Bali. Another site worth checking out is http://www.baliairportexperience.com which provides information including what to expect on arrival/departure, visa information and transportation options at the airport and around Bali. I personally found the information helpful particularly as a first time traveller to the region. Hey Jen, sorry for the late reply! I haven’t stayed in Penida myself yet so haven’t got any personal recommendations. Hope you found somewhere and enjoy your trip! Love how you broke this guide up into what style of travel for each area. Bookmarked this! You can do either, to be honest, there is such an abundance of accommodation I have in the past booked the same day even and usually find a good deal if you aren’t too fussed about location. If you want a specific hotel or spot it’s likely better to book in advance, especially during Aussie holidays. Enjoy! This is definitely the most helpful guide to Bali I have ever found, thank you so much for taking the time! Thank you :) Glad it’s helpful, have a great trip! Oh my When I stayed at Bali I only visited Legian (near Seminyak) and Ubud, but Canggu and Uluwatu look amazing! Hey Sarah! So excited for you. Hmmm, i’m sure you can find yoga around most the island if you really look for it but obviously Ubud is the main hub for it. Also, in terms of scuba diving around the island it’s self I don’t find it that impressive, other than the wreck diving around Amed (The Nusa and Gili Islands are a bit better for it). Amed is a very sleep town and still quite local orientated with home stays, also Tegellang a little further out than Ubud. 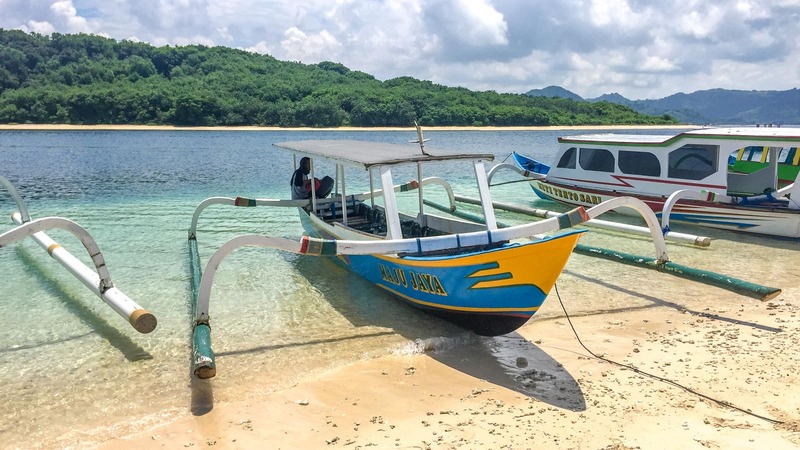 You might want to consider splitting your time between both as the travel distance isn’t too far – but then, if you want beaches overall I would say the village of Sawangan (where I used to live in Nusa Dua). A lot of the consideration will come down to if you have a scooter. If not GoJek and Uber operate on the island but the places they are allowed to go are getting deminshed. Any other Q’s give me a shout and if not, have an amazing time! Hey Dan! The Canadian again! As my trip to Bali is coming up soon, I was wondering: To rent scooters and ATVs do tourists need an international license or can we rent them without? Erm. Legally, I’m not sure. But given I don’t have any kind of license at all and was able to hire them in sure getting one won’t be a problem – the legal side and any police ‘fines’ I can’t give advice on. Tbh, when I went to do my test in Bali there were ‘fast track’ options in front of the station so it’s pretty grey in terms of that. My only tip would be check your insurance as the roads can be crazy and you don’t want a small international license cause costing heaps. We are actually planning a trip to Bali coming up soon! This is super helpful as last time we stayed on the island we were really remote and didn’t get to see much in our short time! This post does a really great job breaking down what each area is like! Thanks for sharing, it will definitely help us! 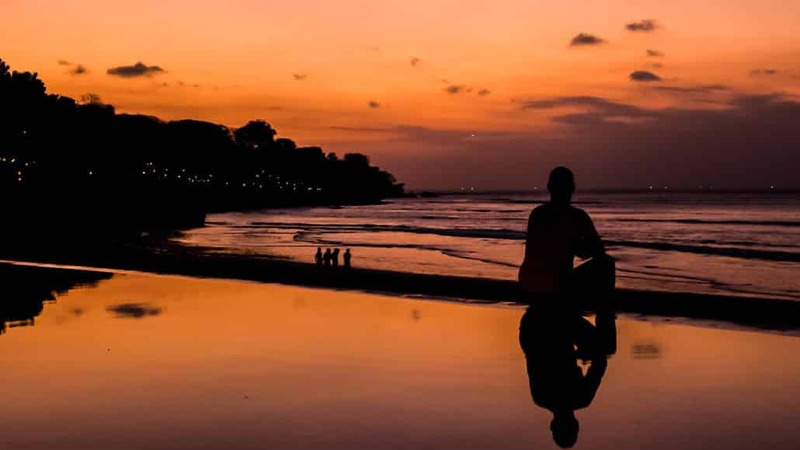 I am so pleased it helps – I love Bali and have spent months there in the past couple of years but 100% agree, if you stay in the wrong area it can completely change the experience. Have an amazing time!!! The Maya Sayang villas look so nice. How much did you get an offer for because they are very expensive for now? Where is the best place to stay if you want a mix of everything like beach/party/food and stuff. There are four of us and we don’t really wanna move around much as we only have 4 days there. My mates said Kuta might be best but it sounds pretty full on. Do you know if you can get a sim card at the airport too? I’d say go for Seminyak, imagine that will give you the best mix. You should be able to pick up a cell at the airport, if not there are heaps of shops on the streets. Have fun! Thanks so much for the helpful tips! I am definitely keeping them in mind as I plan my trip! Awesome and very detailed advice! I am planning a trip to Bali this summer and will definitely be staying in Ubud. However, in terms of coastal stays, which area would you recommend? My boyfriend and I are looking for a chill spot with nice beaches. Would this be Canggu? Also, how long would you say it takes to get from one side of the island to another? Hey Gaby. Thanks for reading! 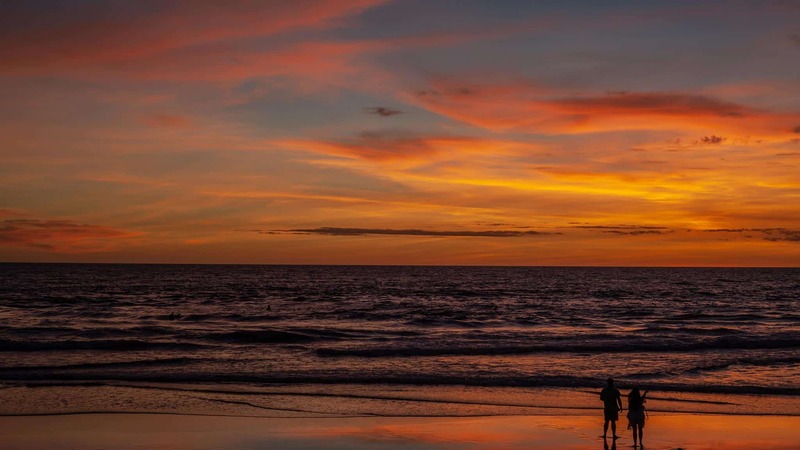 It really depends on what you want alongside the beaches – In my oppinion the best beaches (whiter sands, beautiful water) are in the Bukit area, around Nusa Dua and Uluwatu but then you sacrifice the night life aspect of Seminyak – so if you want a good balance Seminyak might be your best bet. The beaches at Canggu are chill but more black sand which I know is not everyones favourite.